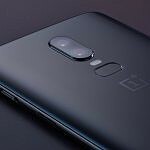 OnePlus has launched the OnePlus 6 256GB Midnight Black model in India. The phone costs ₹43,999 ($640). It will go on sale exclusively via Amazon on July 10, 12PM IST. To recap, the company had launched the OnePlus 6 globally on May 16, while the India event took place a day later on May 17. Globally, the phones in three variants: 6GB of RAM with 64GB of storage, 8GB of RAM with 128GB of storage, and 8GB of RAM with 256GB of storage. In global markets, the 8GB RAM/256GB storage model is available in Midnight Black, Mirror Black, and Silk White colors. However, the company opted not to launch the 8GB RAM/256GB storage model in India at first. Instead, it launched the Marvel Avengers limited edition (which had 8GB of RAM with 256GB of storage) alongside the regular 6GB RAM/64GB storage and 8GB RAM/128GB storage variants. The Avengers limited edition was available for ₹44,999 ($655), but it was quickly sold out. Now, the company has brought the regular 256GB Midnight Black model to India. The 256GB Midnight Black model will be sold via Amazon on July 10 starting from 12PM IST. It will go on sale from OnePlus.net and offline channels in India from July 14. The OnePlus 6 red model will also go on sale in India on July 16 during the Amazon Prime Day sale. It comes with a single 8GB RAM/128GB storage configuration model, and it costs ₹39,999 ($582). Camera (Image) Front: Sony IMX 371 (16MP, f/2.0, 1.0μm) with EIS. Rear (Primary): Sony IMX 519 (16MP, f/1.7, 1.22μm) with OIS and EIS. Rear (Secondary): Sony IMX 376K (20MP, f/1.7, 1.0μm). Software Android 8.1 Oreo-based OxygenOS 5 with early access to the Android P beta Audio Bottom-facing speaker. Audio tuned by Dirac HD Sound. Dirac Power Sound. LTE Features Supports 4xCA, 64QAM, 256QAM & 4x4MIMO. Supports up to DL CAT16 (1Gbps)/UL CAT13 (150Mbps) depending on carrier.